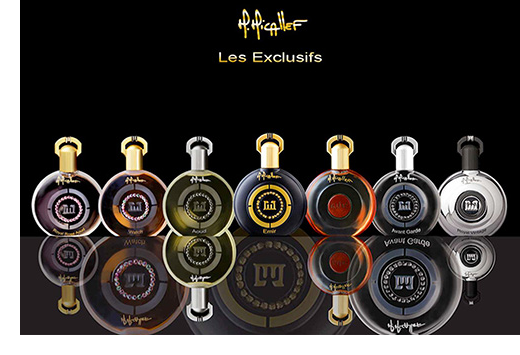 Founded in Grasse in 1996, the M. Micallef brand is now a signature in the world of high end luxury perfumes. With almost 900 retail outlets in 54 countries, the company’s success speaks for itself. Driven by their individual passion and talents, Geoffrey Nejman together with Jean Claude Astier, a renowned “nose” developed exceptional fragrances whilst Martine Micallef with her artistic flair designed and developed a range of beautifully decorated bottles. The bejewelled collection, produced and decorated by hand became an iconic work of art and perfume seducing connoisseurs from all over the world. Born in Germany, the hardened businessman from the world of private banking in Europe and the USA was almost seized by a passion for the fascinating and dreamlike world of perfumes in the mid 90’s. Geoffrey has since been in charge of the Micallef scents creation in a perfect duo with Jean Claude Astier. With his banking expertise, he manages the company and works on the financial and structural growth of M. Micallef.